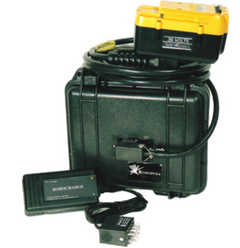 This kit will power your 36V DeWalt tools. XL36-12 Robopak® is capable of powering all 36v, 24v & 12v DeWalt tools and hundreds of other tools, lights & equipment (with the proper tool adapter) anywhere in the world. Increase your run times 3x and save money! Extended power that will allow you to finish the job!